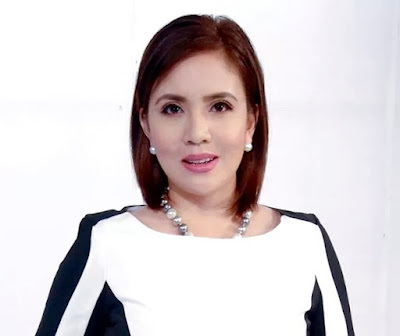 Former People's Television Network anchor Kathy San Gabriel has joined Panahon TV as its new senior correspondent. In a Facebook post published on Thursday, the weather content provider announced that San Gabriel will be leading its new weekly segment titled Panahon TV Reports. In her new role, the veteran broadcaster will be covering stories on disaster risk reduction, agriculture, sustainable development, and scientific breakthroughs. "I am happy and honored to be part of Panahon TV as their Senior Correspondent," San Gabriel said in a statement to Media Newser Philippines. "It is an exciting time to join the Panahon TV team as they're celebrating their 5th anniversary next month and with that, they plan to expand their programming." She added, "I will be tasked to produce mini-documentaries on topics such as weather, disaster risk reduction, environment, and agriculture. I am looking forward to this new adventure." San Gabriel made news in June after she was abruptly fired by PTV4, where she spent much of her career in broadcasting. Previously, she was a news anchor and correspondent for ABS-CBN News. Panahon TV, which originally aired on the state-run TV network, is available on TV via Beam Philippines and DZRH News Television, and on radio via Inquirer Radio and DWIZ. It is produced by Ube Media Inc., in partnership with the Philippine Atmospheric Geophysical and Astronomical Services Administration (PAGASA) and Air 21.